How to get to the famous and beautiful El Cielo Cozumel? Experienced travelers that have visited many different countries can confirm that Cozumel Island is home to some of the most beautiful beaches on our planet. Some of them are long and sandy; others are secluded coves while some of them are just rocky shores. You can find a beautiful beach in literally every part of Cozumel Island. Some of the best of them are in the southern part of the island. The reason is simple – this is the place where you can find sand-covered beaches. One of these beaches is the famous Playa El Cielo or El Cielo Beach Cozumel. Can I drive to El Cielo Beach in Cozumel? People today are used to travel to different places by car. We can’t say that this is wrong, but the fact is that it is sometimes better to take a trip with a boat. There are situations when you can’t drive to some place by car; this is true for El Cielo Beach for example. You can’t drive to El Cielo Beach even though there is a road that is relatively close to the beach known as Quintana Roo C-1. You can’t park your vehicle there, and it would be tough to access El Cielo Beach on foot. But, you should not worry about that, because there is a very convenient way to get there and enjoy the many beach and water activities there. 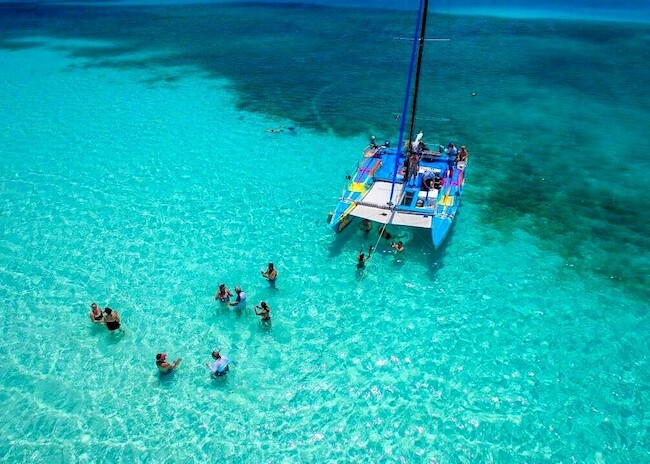 The best (and the only way) to get to El Cielo Beach is by boat. There are a handful of tour operators that can help you each this fantastic area. What is interesting is that el cielo cozumel is part of many snorkeling tours. It is quite understandable because the water here is so bright and so beautiful and allows unusual snorkeling activities. Technically speaking, the visibility underwater is limited only by your eyesight because you can look at things down there as far as your eyes can see. So, use a regular snorkeling tour to get there. Snorkeling is an exciting sport that can help you learn more about the marine life in this area. Luckily, this place blesses with beautiful nature. Let’s not forget that there is a large shallow area of just a few feet where snorkelers can snorkel freely. So, even if you are a beginner snorkeler, you won’t have any problems learning how to engage in this activity. The most commonly found form of life in the El Cielo area is the starfish. There are hundreds of starfish mostly on the bottom of the sea. What places are near to El Cielo Beach in Cozumel? Close to El Cielo is the colombia reef which is another fantastic place for snorkeling where you can take a closer look at different kinds of fish and other living beings. 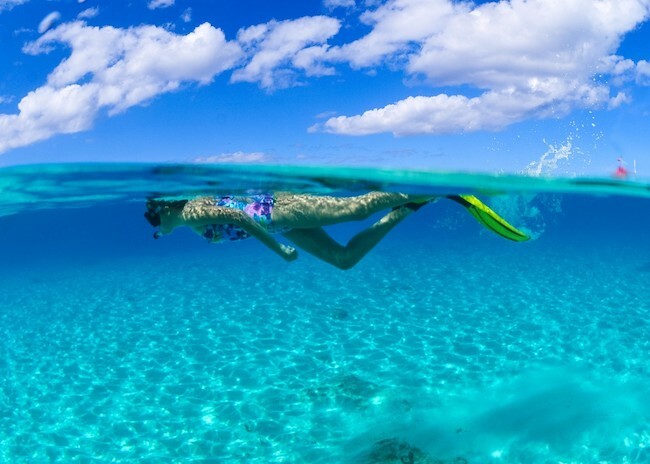 If you want to get the most from your snorkeling tour in Cozumel Island, then you must add el cielo cozumel beach on your place to visit while you are there.